The finance department has sought a review of subsidies of Rs 1,508 crore extended to the state transport department. A day after taking oath, Chief Minister Devendra Fadnavis chaired a marathon meeting of his cabinet, at which he and his ministerial colleagues received the lowdown on the “poor state of the state’s finances”, and were told that the liberal subsidies of the previous Prithviraj Chavan government were unsustainable. Senior finance department officials told the chief minister that the Rs 10,000 crore waiver of dues on electricity to farmers allowed by the Chavan government in June, and the Rs 500 crore bill from the decision taken in February to provide free medicines in state hospitals, were “burdening” the exchequer. The officials told the government that a course correction was imperative to restore the state’s financial health — advice which, if followed, might see pressure on the CM to take hard decisions even before the honeymoon period of his government runs out. “Rolling back the electricity waiver will upset farmers, and doing away with free medicines will give the opposition ammunition to target the government,” a cabinet minister said. While former finance minister Ajit Pawar had projected a revenue deficit of Rs 4,103 crore for 2014-15 in June, officials said lavish pre-poll sops had pushed revenue deficit projections beyond the Rs 26,000 crore mark. The state’s debt is now more than Rs 3.15 lakh crore, and officials said Maharashtra stood to lose out on Rs 800 crore of central grants for missing Financial Reform and Budgetary Management (FRBM) norms on revenue surplus. The finance department has sought a review of subsidies extended to the state transport department (Rs 1,508 crore) towards commuter concessions. A Rs 4,000 crore subsidy has been given for various industrial promotion schemes, which, sources said, was unlikely to be withdrawn. At the five-hour meeting, the government also sought detailed presentations on law and order, and on challenges in the power and agriculture sectors. 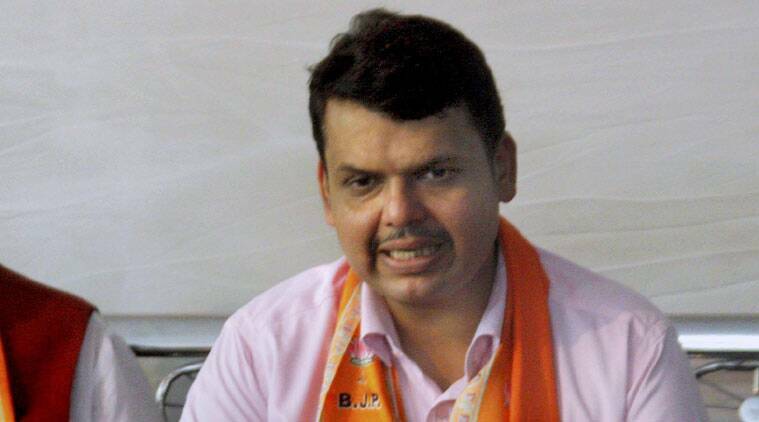 Sources said Fadnavis expressed deep concern over the poor conviction rate in crimes. A panel headed by the Additional Chief Secretary (Home) had recommended a 13-point plan to improve the conviction rate this June, but the proposal was not taken up by the Chavan cabinet. At Saturday’s meeting, the home department asked that the cabinet note be taken up immediately. From 33 per cent in 1997, the conviction rate has slipped to 13.8 per cent currently. Separately on Saturday, the chief minister directed Director General of Police Sanjeev Dayal to investigate the gruesome murder of three members of a Dalit family in Ahmednagar district on October 21. Fadnavis also assured a delegation that the government would ensure that the case is tried in a fast-track court. Ministers Pankaja Munde and Dilip Kamble will on Sunday visit Pathardi village where the killings took place.